Rajeev was trying to escape with the offering box tied on the back of his cycle. However, he cycled straight into those Brazil fans, who lost no time in smelling the 'foul' game. Rajeev, who robbed a Hundi (offering box) from a temple, was caught by a group of Brazil fans, who were returning after watching the world cup match between Brazil and Switzerland. Rajeev was trying to escape with the offering box tied on the back of his cycle. However, he cycled straight into those Brazil fans, who lost no time in smelling the 'foul' game. Rajeev's behaviour apparently was suspicious and the fans questioned him about the box he was carrying. When they searched Rajeev, they found out the truth, called the police and handed him over to the Thumba Police in Thiruvananthapuram, Kerala. 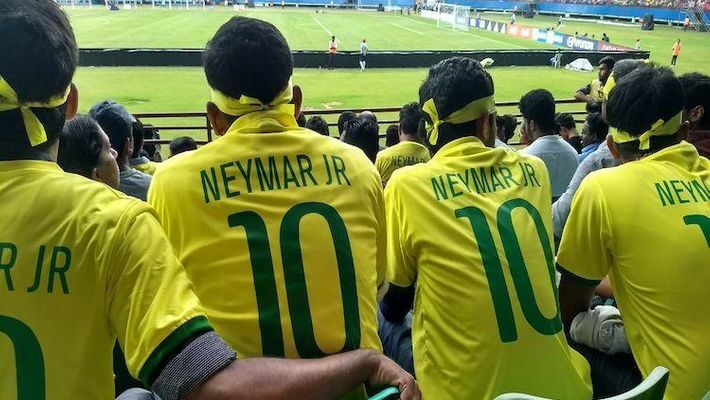 Thus, they ended scoring their goal of the century!